To put this into perspective, this is also the company that refuses to provide its employees with health insurance which covers the “morning after pill” for contraception. That case is on its way to the Supreme Court. This may come as a shock to many of us who live in a part of the country where respect for other faiths is almost a necessity, but what Hobby Lobby is doing – at least as it relates to carrying or not carrying Jewish items – is completely legal. Stores can carry any items they choose. Whether it is smart business to ignore the Jewish market is another matter, but that, too, is not an issue of legality – or bias. It has been reported that at least one employee in Marlboro said, “We don’t cater to you people.” Even that statement, if it is true, is not illegal or discriminatory. 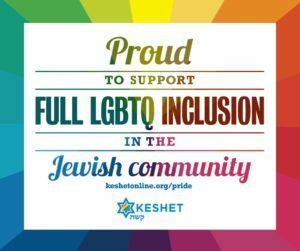 IF the store asked a person to leave because he or she was wearing a Jewish star, THAT would rise (or sink) to the level of discrimination, but otherwise it just doesn’t. That’s the messy part of freedom. But that does not mean we are powerless, or helpless. The same freedom that allows Hobby Lobby to ignore Jewish interests also allows us to ignore Hobby Lobby. OUR freedom includes the right to vote with our feet, and with our money. Not just in searching for Hanukkah items, but for everything Hobby Lobby stocks. WE are free, too – free to patronize the companies we choose. Personally, I find Chick-fil-A’s publicly stated antipathy toward gays to be offensive, so I don’t eat there. And I believe Wal-Mart’s treatment of its employees is horrible, so I don’t shop there. That is MY right, and the result of my freedom. If you want to buy items for Hanukkah, there are lots of choices. Start with our own Sisterhood Judaica case, for one. Then try any of the local stores which recognize and respect our traditions including, believe it or not, the Christmas Tree Shops in Freehold. And if you want to buy items that are sold in Hobby Lobby, it’s your choice whether to go there or somewhere else. Personally, I’ll go somewhere else. One last thought: I bet the Judaica shops in Hightstown and Lakewood don’t stock any Christmas supplies at all. I assume they have decided that they don’t need to do that, and I respect their decision. But I also assume that they are comfortable knowing that Christians will choose to take their business elsewhere. That’s freedom, in all its messy glory. I wouldn’t have it any other way.